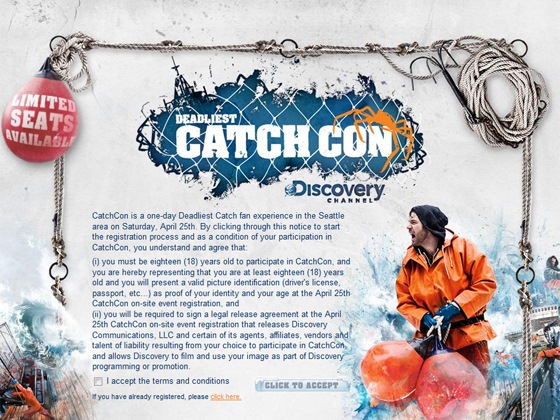 Something special happens when a television series stops just being words and pictures on a screen and becomes a community…so it is with Deadliest Catch. You have embraced the captains and crews as if they were your closest buddies. To show our gratitude for your support, Discovery Channel has created this unique one day fan experience. 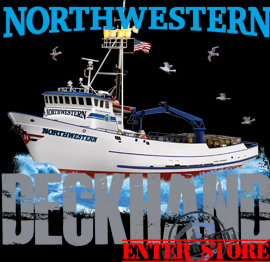 On Saturday, April 25 from 12:00 – 6:00 pm, we will bring together all the captains including Sig Hansen, Keith Colburn, Phil Harris and Andy and Johnathan Hillstrand. Also on hand will be crew members and production staff. Those in attendance will get a behind-the-scenes look at the making of your favorite show, the opportunity to get a captain’s autograph and much, much more. Need to register for CatchCon 2009? Click Here.